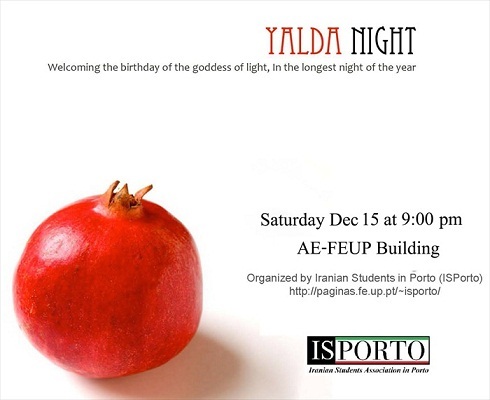 The Yalda night ceremoney will be held on 15th of December at aeFEUP. Iranian Students in Porto (ISPorto) is a voluntary organisation of Iranian Students and Researchers in Porto. We aim to sponsor Iranian social and cultural activities and events and support new Iranian students who come to Porto. We are also very eager to exchange our traditions and culture with other international students in Porto and near cities. The celebration will start at 21:00 December 15th 2012.